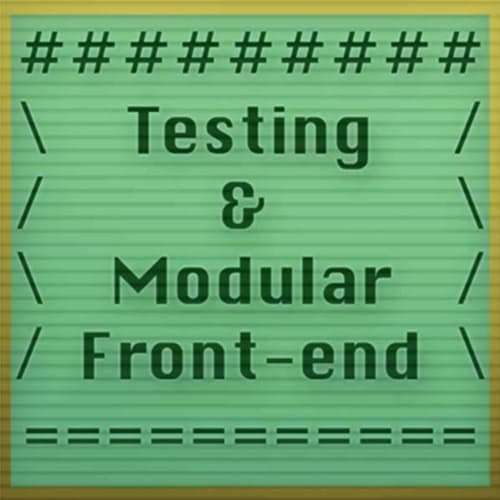 Learn how to write unit tests and development code for NodeJS and the browser. Using simple tools connected for easy configuration and updating, without the need for frameworks, James demonstrates how to create effective modern web applications with ease. This workshop is for people who want to know how to start testing and how to quickly whip up modern web apps without having to wade through a bunch of boilerplate or configuration. After reviewing a tape test function, James demonstrates how to make a test suite out of multiple test functions. James takes questions from students. James reviews how to initialize servers or databases required for testing and then how to perform a clean up by showing up to create setup and teardown phases. James introduces the concept of the I/O Shell, which allows for writing code that is easy to test and code that is reusable. By taking inputs and outputs such as reading or writing to a file push it up to the uppermost layer where it might be more configurable. After reviewing his approach to modern web development through the use of single-purpose npm service packages and native web technologies and APIs, James recommends "starting from zero" to force oneself to know and understand the tools that make up a web application rather than relying on third-party boilerplate solutions. After showing how to set routing up, James discusses installing setting up pushState. Extending the initial WebGL demonstration, James continues to code by adding additional elements and imaging effects. James takes questions from students. James works on demonstrating the effects available with WebGL. James takes questions from students. While adding some feedback, James holds a jamming session letting students play with online Web audio studio.